Trendy! 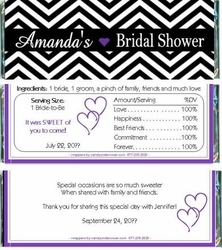 That's the perfect word that describes this black, white and purple Chevron Striped Bridal Shower Candy Bar Wrapper. Any colors can be changed to coordinate with your color theme. 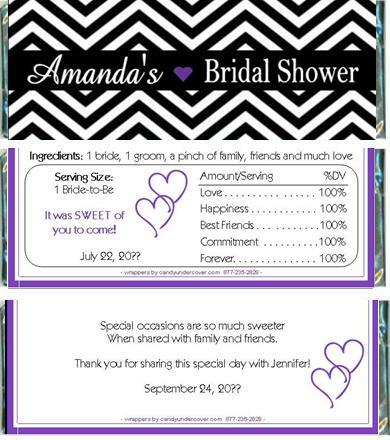 Your guest will love this candy bar wrapper almost as much as they love the chocolate bar that's inside!